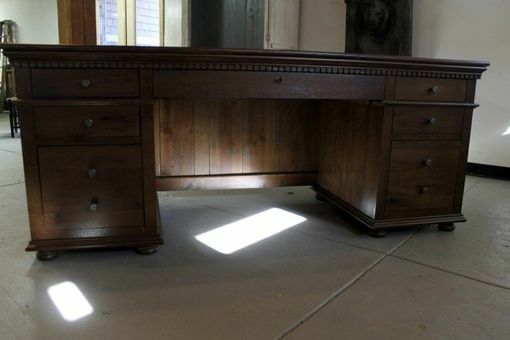 This is reclaimed wood furniture done right! 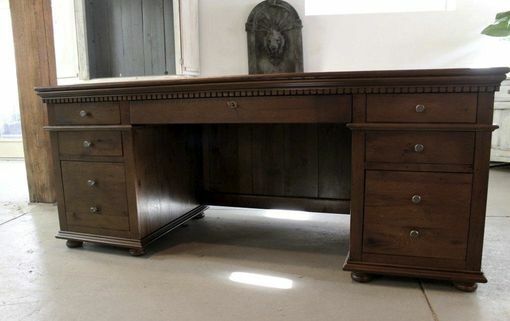 We have taken beautiful old oak and have added decorative touches to make this spectacular desk. 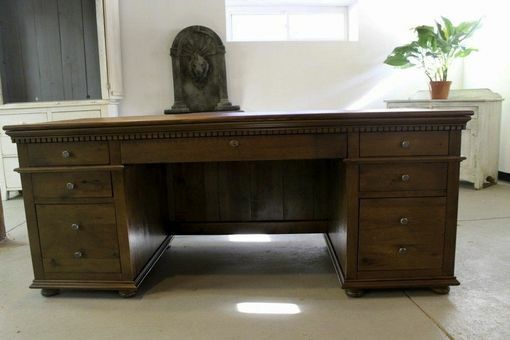 Perfect for any home, this stunning desk was embellished with dentil molding and other decorative detailing. 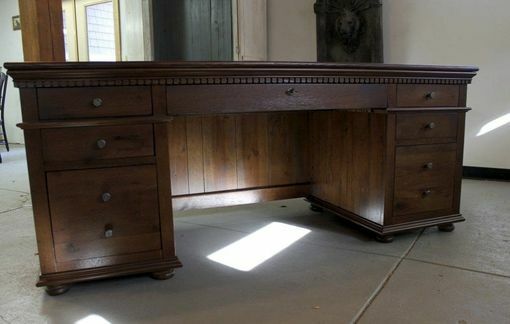 Finished in our antique walnut color, this desk is sure to be the centerpiece of any study, den, or work area. 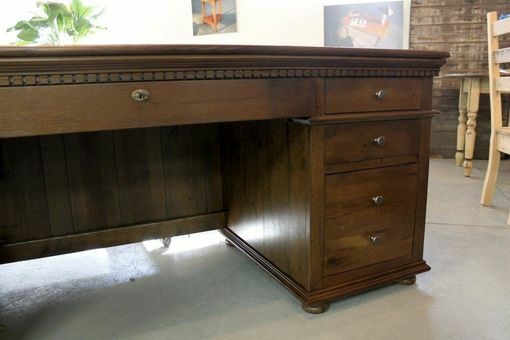 The last 2 images are taken from the restoration hardware product "St. James Desk", as a comparison. 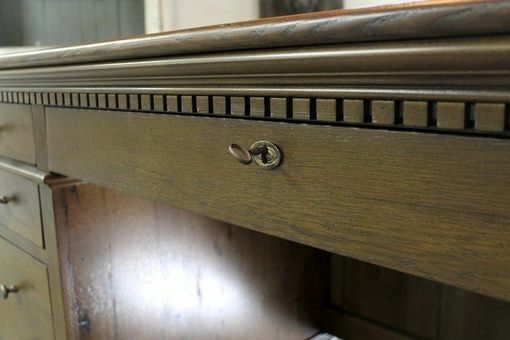 All our reclaimed wood furniture is customizable. Please call for pricing and availability. Dimensions As seen: 76″L x 30″d x 31″h.